Will “Medicare for All” Help Make America Great? For more than a century, American public policy priorities have included a role for the government in health care. As early as 1912, Theodore Roosevelt’s National Progressive Party, or Bull Moose Party, called for, “Universal health insurance; a national public health service; insurance for the elderly, the unemployed and the disabled,” and other progressive social policies, as Patricia O’Toole noted in the New York Times. She highlighted that, “[Roosevelt’s] definition of national greatness included a commitment to improving health care.” It’s a marked contrast to the policy focus of the current presidential administration! However, many of Teddy Roosevelt’s successors have advanced the cause of health care for all Americans. It should not be surprising then that the issue will be a major focus of the already starting 2020 presidential campaign. Clearly, Bernie Sanders, Kamala Harris and other emerging candidates on the Democratic side are focusing on health care reform and expansion. The Declaration of Independence speaks of, “Unalienable rights of life, liberty, and the pursuit of happiness.” Health could easily fall within the rights of life or happiness. However, there is some debate about the right of health care. While most liberals or progressives claim it as a basic right, some conservatives at least categorize it as an individual right, as Avik Roy, Forbes policy editor, has written in an article for the Yale Political Union. Whether it’s a natural right of all or an individual right, access to affordable health care is a priority for most voters. Those who either advocate or oppose “Medicare for all” have a responsibility to clearly define just what the concept includes. Professor and author Theresa Ghilarducci in her article, “What is Medicare for All?” outlines some variations of the concept. She notes that some, like Columbia Professor Linda Fried, support lowering the initial eligibility age to 50 to cover the groups who often pay higher premiums until they qualify for Medicare. Other proposals seek to cover all ages. This increases the cost to taxpayers, but may have other long-term benefits. Senator Kamala Harris, who recently launched her 2020 presidential bid, told her listeners that her proposal would end commercial health insurance. This concept has drawn fire from some in the business community, in part because of the significant economic impact during the transition from the current system. Since traditional Medicare Part B (medically necessary treatment and supplies not covered by Part A) only covers about 80 percent of health costs, and recipients purchase supplemental coverage from private insurers, there might still be a need for some form of private insurance coverage. This could be true even in “Medicare for all” proposals. At a minimum, this will affect how much the plan will cost taxpayers if costs are not shared with recipients, as is now the case. Before debating the several “Medicare for all” proposals, or analyzing them by the media, we might all do well to review the origins of the Medicare program we have today. The Medicare and Medicaid Research Review offers an excellent tutorial on the topic. Though Medicare and Medicaid aroused some controversy in the mid 1960s, the program enjoys fairly wide acceptance today. Most candidates from either major party in the 2018 midterm elections were careful not to support plans that undermine Medicare. Perhaps that is an important reason why advocates of a single-payer health insurance adopted the Medicare title. 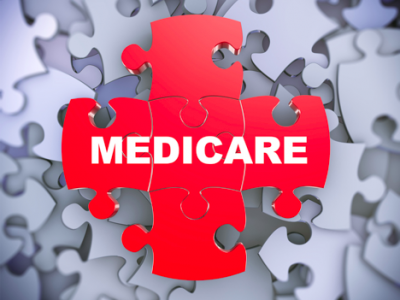 However people, including the media, who are generally familiar with Medicare, may find it important to distinguish between the long-standing policy and the proposals being advanced by various candidates. Even the same program under different titles can affect the level of public understanding and support received. For example, the opposition to Obamacare is much stronger than the opposition to the Affordable Care Act even though they are one and the same. It’s true even though the public largely supports the major individual provisions of the law, such as requiring coverage for pre-existing conditions. Conversely, multiple proposals with the title, “Medicare for all,” may sound alike, and some are merely an expansion of the widely supported traditional Medicare program. However, they may differ dramatically from each other and from Medicare itself. Therefore, before we jump on anyone’s bandwagon or launch an attack on their health care policy proposals, we ought to take the time to understand the similarities and differences with the real Medicare program as we know it. Responsible analysis each proposal’s cost is also critical in weighing benefits vs. affordability. As public policy leaders, ASPA’s practitioners and academics are in an excellent positions to help frame this important debate for America’s future. Author: Richard T. Moore has served in both elective and appointed public office at local, state, and federal levels of government. He served for nearly two decades each in the Massachusetts House and Senate, as well as being chosen as President of the National Conference of State Legislatures. He also served in Washington, DC as Associate Director of FEMA in the Clinton Administration and as a Presidential Elector in 1992. A former college administrator and adjunct assistant professor of government at Bentley University and Bridgewater State University, Mr. Moore is a long-time member of ASPA serving terms as Massachusetts Chapter President and National Council member. He was the lead Senate author of the landmark Massachusetts Health Care Reform law (2006) and of the Massachusetts Health Care Cost Containment law (2012).